According to "channel checks" performed by analyst Michael Walkley of Canaccord Genuity, the Apple iPhone 5 is selling strongly. At the three major U.S. carriers that offer the phone, Verizon, AT&T and Sprint, the 6th generation iPhone is the top selling smartphone. 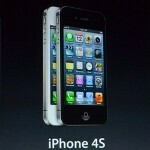 But Walkley has discovered strong demand for both the Apple iPhone 4S and the Apple iPhone 4. The latter model, offered free by some carriers with a signed two-year contract, is sold-out at some locations. Apple has been able to get the magical Foxconn elves to push out more handsets, which is why the Cupertino based tech giant is able to start selling its iconic smartphone in 50 more countries this month as we told you Monday morning. Walkley forecasts sales of 47.5 million units of the Apple iPhone in the current quarter which would be a gain of 77% sequentially from the third quarter. He expects the latest iteration of the phone to help Apple achieve gross profit margins of 38.7% in the current three month period. The Canaccord Genuity analyst says that by the end of the year, the Apple iPhone 5 will have been launched in 100 countries with 240 carriers. Considering how strongly the Apple iPhone 4S and the Apple iPhone 4 are still selling, Walkley says that we are in the beginning of a "strong multi-year product cycle" for the Apple iPhone 5. In the meantime, the analyst reiterated his buy signal on Apple's shares, with a price target of $800. That would be a 36% move from the stock's current price of $590. iphone 5 is not the sixth generation, its the 7th. ist gen iphone, then 2g then 3g then 3gs then 4 then 4s and now 5..
How n the heck can it be the 7th gen, when its the sixth phone in the series? drah - 2G, 3G, 3GS, 4, 4S, 5 - I count 6 - where is number 7? I think Android phones like Nexus 4, DNA, One X+, Note 2, Optimus G and SG3 will keep Android ahead this Holiday season. Haha, just bought a crystal ball and testing it, hopefully it works. Im waiting for the sony odin... I really want to see that dragontrail glass!!! Not sure why sales are strong. I used to have an iPhone4 and HATED it. I have the iPhone5 and it is much better. Obviously the screen is bigger. Then if he uses Droid DNA he will be blown away by the insane gorgeous screen. If u owned them u would. 5 is bigger - has LTE and SIRI - 4S is a great deal. The strong 4s (and maybe 4) sales here in the US and elsewhere suggest that, while these versions of the iPhone are good phones, they were overpriced at $200 and up (on contract). And, if you don't believe that, the fact that the 4s is outselling 5 in the UK may be the first quantitative sign that the incremental "improvements" to the line have hit a point of diminishing return. In other words, the smallish "bigger" screen, headphone jack on the bottom, and other changes aren't worth the extra $100. Android phones still offer a better performance to price value. 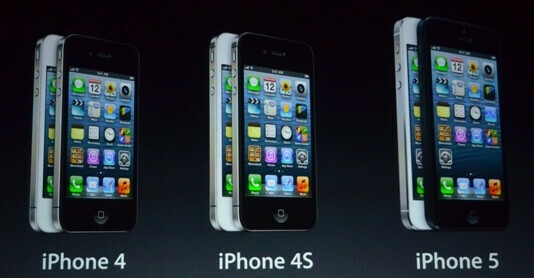 The 4 and 4S were top selling phones when they were new, @ $199 on contract. They're probably sold out because there aren't as many being made, as they're focusing production on the 5. No surprise! Proof that common Apple users do not know any better. How's the taller iPhone 4/4s doing in the sales? because people are affected by the economy and when people see a iPhone for free (iPhone 4) or an iPhone for $99 with a 2 year contract people are going to take it. regardless if you love the iPhone or not its a good deal for people who want a good device notice how i didn't say "great" and who don't really care about phones and such. And for the holiday season when your young child asks for an iPhone what are you going to get him a brand new iPhone 5 or get him the free iPhone 4? The iPhone 4 sells out weekly at my store. The reason is because it is free. Many users don't care about NFC, 4G, they want a simple, phone that works. Its perfect for first time smartphone buyers or those who don't have much money to spend. If you try to buy an android phone for free, you'll be more disappointed in the quality of build and software build. Makes sense that the 4 and 4S are selling - the 5 is overpriced at 199.99 - the 4S is not much different than the 5 - I believe 4S has 8GB of storage. 5 has LTE and that awesome fifth row of icons.